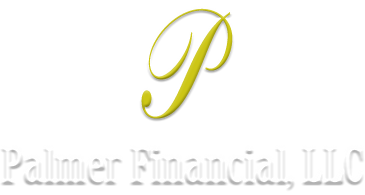 Palmer Financial, LLC is a family-owned investment management firm serving families in Erie, PA. Our clients are hardworking Americans who have serious questions about how to achieve a comfortable retirement in today’s complex financial world. We know that the money you have saved represents decades of saving, sacrifice, and prudent financial choices. Our goal is to help you get to that next financial level with dignity, confidence, and without excessive risk. Securities offered through J.W. Cole Financial, Inc. (JWC). Member FINRA/SIPC. Advisory services offered through J.W. Cole Advisors, Inc. (JWCA). Palmer Financial, LLC and JWC/ JWCA are unaffiliated entities. Registered Representatives of J.W. Cole Financial, Inc. whose identities and associations with Palmer Financial, LLC are disclosed on this site, may only conduct business with residents of the states and/or jurisdictions for which they are properly registered. Therefore, a response to a request for information may be delayed. No information provided on this site is intended to constitute an offer to sell or a solicitation of an offer to buy shares of any security, nor shall any security be offered or sold to any person, in any jurisdiction in which such offer, solicitation, purchase, or sale would be unlawful under securities laws of such jurisdictions. Please note that not all of the investments and services mentioned may be available in every state. Past performance of any investments is not a guarantee of future results.